This is a music festival featuring three choirs during a week long program. The three cathedral venues that host The Three Choirs Festival are Hereford, Gloucester and Worcester cathedrals and the festival takes place once in three years at one of these designated cathedrals in the August month. The Festival Chorus will tend to perform the large-scale choral repertoire whilst other major ensembles and soloists are also featured. The organists of the three cathedrals act as artistic director and festival conductor when the Three Choirs Festival is performing at their cathedral. The musical careers of British composers, Edward Elgar and Ralph Vaughan Williams are linked to the festival. The Festival is one of the world’s oldest classical choral music festivals. There are records of an address being made along the lines of “Members of the yearly Musical Assembly in the parts” that was made in 1719, this would indicate that this festival dates back a while. It appears to have been an ecclesiastical based repertoire. Up to 1784 Purcell’s setting of the ‘Te Deum’ and ‘Jubilate’ were regular features. In the 18th century it appears that Handel’s oratorios ‘Alexander’s Feast’, ‘Samson’, ‘Judas’ ‘Maccabaeus’ and ‘Messiah’ were the main attractions. From 1840 Mendelssohn’s Elijah was performed every year until 1930. 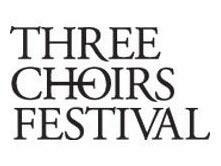 The 19th century introduced Rossini, Mozart and Beethoven to the Three Choirs Festival. Crowds were able to travel by rail and this brought visitors from far and wide. Obviously this contributed to the growing popularity of the festival. The crowds and full seats uplifted the finances. The church had the final say and kept the music “appropriate”. In the late 1870’s J.S. Bach was heard and as were various works by the composer Elgar whose works dominated the festival for much of the 20th century. British musicians were promoted in the works of Howells and Finzi. Parry’s, ‘De Profundis”, was commissioned for the festival performed in 1891. In 1901 ‘Dance Rhapsody No 1’ by Delius, 1910 saw ‘Fantasia on a Theme by Thomas Tallis’ by Ralph Vaughan Williams. 1911 – ‘Five Mystical Songs’, 1912 – ‘Fantasia on Christmas Carols’. The names are endless, Arthur Sullivan, Gerald Finzi, Arthur Bliss, John McCabe, James MacMillan Herbert Howells amongst others. The festival is funded by ticket sales, donations and sponsorships. In 2010 the Three Choirs Festival Youth Choir was formed and is made up of singers aged between 16 – 25 years old. The Philharmonic Orchestra began a three year formal residency at the festival in 2012. The Three Choirs Festival is now in its more or less 282nd season to give a timeline. The audiences are drawn to these cathedrals and the festival by their love for music. It is wise to choose a seat as not every seat available in a cathedral packed to capacity may have the ideal capacity to absorb the immensity of the tremendous musical scores.